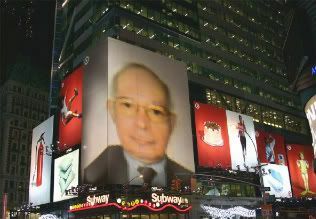 Panama is a very Catholic country, with some 80 percent of its inhabitants adhering to that branch of the Christian faith. Since the early days of the Spanish colonization of the country at the turn of the 16th century, Panama has enjoyed the construction of churches with gorgeous architectural styles. The best example is the impressive Metropolitan Cathedral located in front of Parque Catedral in the city’s old shell. The Basílica Menor of Santiago Apóstol in the city of Natá de los Caballeros in the Province of Coclé. It is the oldest basilica on the Pacific side of the isthmus. It has been declared a national historic patrimony due to its great historic and architectural value. 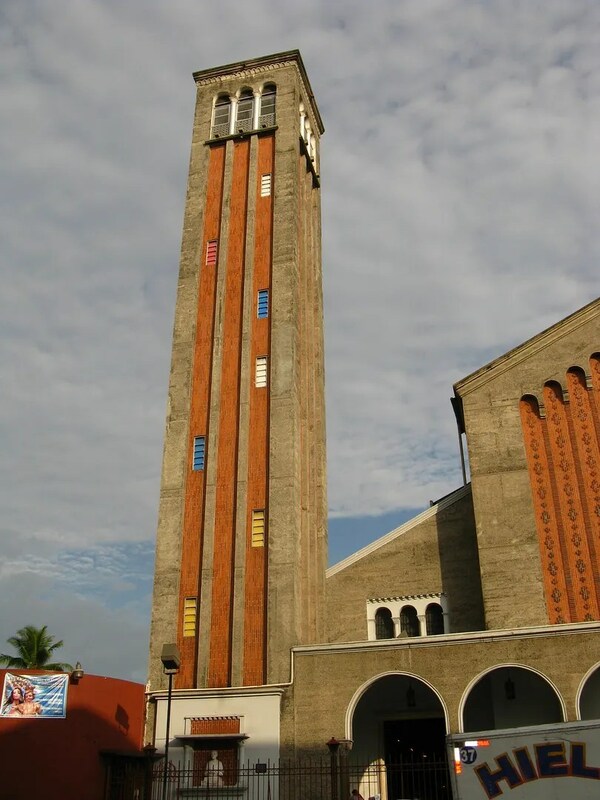 The Basílica Menor of Don Bosco in Panama City. The Basílica Menor of Jesús de Nazareth in the city of Atalaya in the Province of Veraguas. The Basílica Menor of Portobelo in the city of Portobelo in the Province of Colón. All of these religious structures attract an enormous number of followers during the year. You have to be there to evidence the religious fervor demonstrated by Panamanians. These demonstrations of faith sometimes borders religious fanatism also found in several cities of the Philippines. 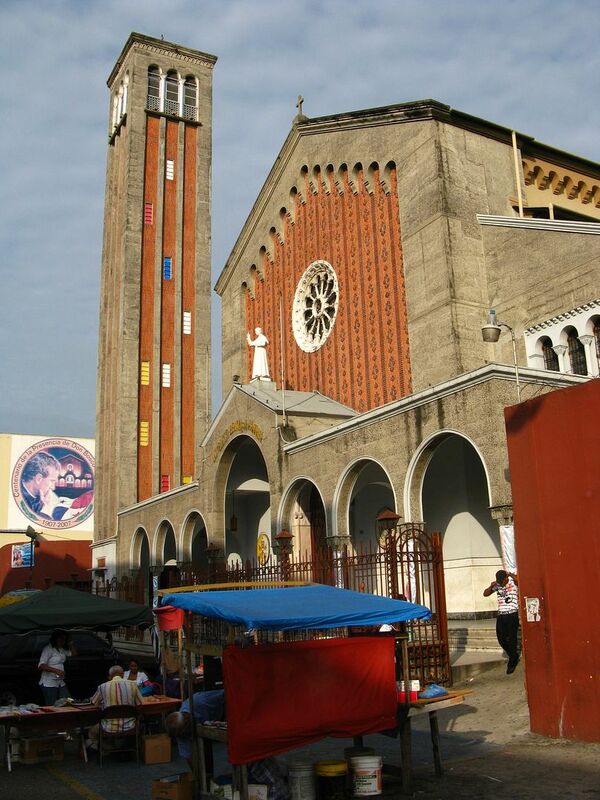 Below are several pictures of the most visited church in Panama City—the Basílica Menor of Don Bosco. 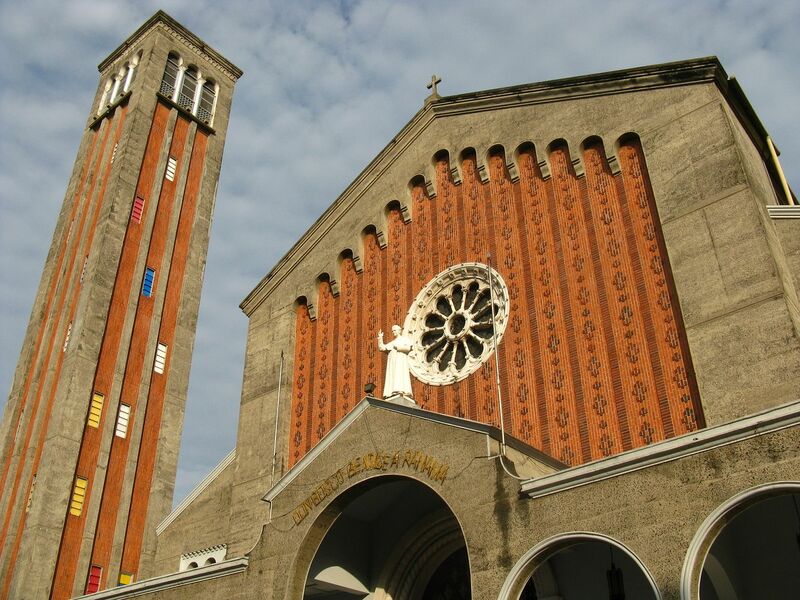 During January 31st of each year, this Italian saint attracts approximately 25,000 parishioners for a special procession held through adjacent streets of the church. It’s the envy of Panamanian politicians. These are the pictures for your enjoyment. Here we go. Photograph of the Basílica Menor de Don Bosco in Panama City, Panama. The entrance is full of small food stands which sell cheap meals to the churchgoers to fund the congregation. Photo by ©Omar Upegui R.
This church was declared "Basílica Menor" by the Vatican in Rome on October 19, 1988. It's a very special distinction for a church to be declared a Basílica Menor. There are few of them in Latin America, and we have four. Photo by ©Omar Upegui R.
Please take notice of the Italian architecture of this gorgeous church. Photo by ©Omar Upegui R.
Photograph of the tall and slender tower of the structure. It adds charm and grace to this outstanding church in Panama City, Panama. 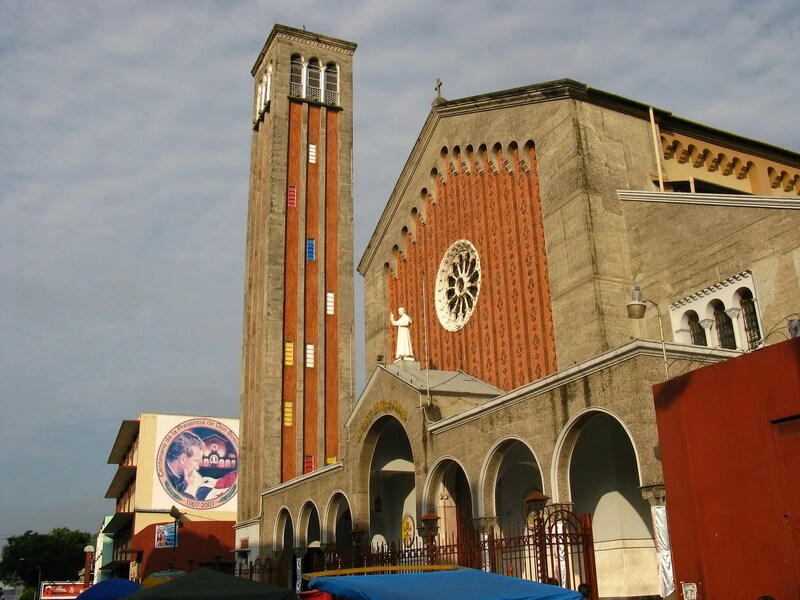 Photo by ©Omar Upegui R.
Of all the churches in Panama, the Basílica Menor of Don Bosco is the one which most resembles the Italian architectural style. I’ve seen photographs of towers like this one is several Italian cities. It’s a very attractive structure if you ask me. Good Day. what do you buy here? This is a mayor cathedral in Panama City, Panama. Outside the building street peddlers sell religious items, such as images of saints, small statures of saints, little bibles, religious books, religious-themed T-shirts and so fort.